Colorado has the best economy and lowest unemployment rate in the nation at 2.3%. “But the biggest agreement of the day came on SB 267, a bill that attempts to meet several of the most crucial needs in Colorado — increased road funding, stabilized funding for rural hospitals, a boost in funding for rural schools — as it also allows for more spending room in future budgets. Several House Republicans blasted the bill, which largely was crafted by Republican Sen. Jerry Sonnenberg of Sterling. They said it violated the Taxpayer’s Bills of Rights by not reducing the TABOR spending cap by as much as the cost of the roughly $800 million hospital provider fee program that it took out from under the cap and made into an enterprise. 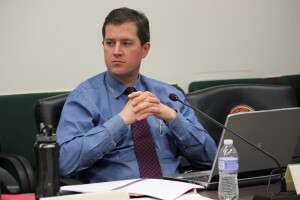 Rep. Tim Leonard, R-Evergreen, said it also violated the legislative requirement to limit all bills to a single subject, even as it seemed to try to fill the needs of many sectors to grow their government funding. But a number of other Republicans, who largely represent rural areas or are considered more moderate members of their caucus, said they backed the measure because the spending recipients needed the boost. They echoed arguments from the Colorado Hospital Association that between six and 12 rural hospitals could close if they lost the money originally projected to be taken from them in order to balance the budget next year. And several blasted conservative organizations who have criticized them for going along with the plan, saying they are out of touch with constituents’ needs and are making the Legislature a place that is run by fear. “I know by the time I get back to my desk, the Facebook posts will start. We’ve heard them already: ‘Squish, RINO,’” said Rep. Lois Landgraf, R-Fountain, referring to the acronym some groups give to elected officials they consider to be Republican In Name Only. 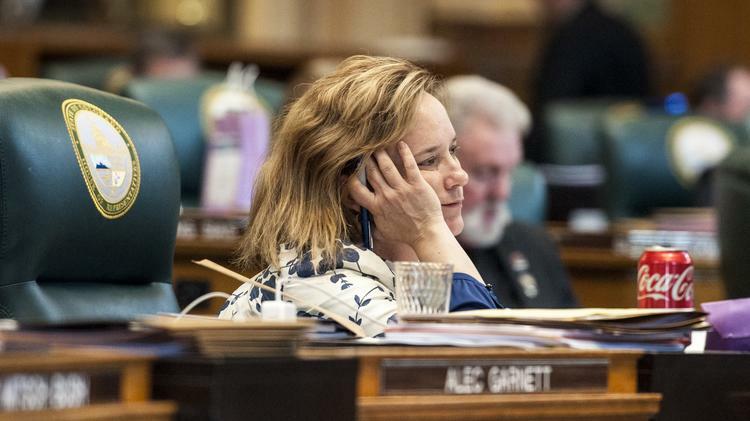 Over the course of a turbulent 13-hour final day of the 2017 session Wednesday, the Colorado Legislature passed one the most wide-ranging omnibus spending bills in recent memory and then killed off the vast majority of functions of the Colorado Energy Office. The 120th day of the first session of the 71st General Assembly began with broad bipartisan support over Senate Bill 267, a measure that saves Colorado hospitals from $528 million in funding cuts, dedicates $1.88 billion to highway projects, pares Medicaid spending and offers a personal property tax credit to businesses for their first $18,000 worth of business equipment. – LEGISLATURE’S LAST DAY: Click above for Kathleen Lavine’s look at the session’s conclusion. Despite protests from some Republicans that some of its spending maneuvers were unconstitutional, nearly half of the caucus joined with House Democrats in passing the bill by a 49-16 margin and sending it onto Gov. John Hickenlooper. But that was about the only kumbaya moment of a day that descended into endless negotiations and then finger-pointing over two issues key to businesses in rural Colorado. By the time the state House of Representatives adjourned at 9:39 p.m., the Legislature had rolled back a bill to increase funding for rural broadband. Grantham is right. Leftists don’t have the votes to pass this ill-advised potential ballot initiative, and Coloradans love the idea that TABOR represents. This blatant cash grab should be enough to disqualify Kerr from higher office. DENVER (AP) — A federal judge has dismissed a long-running lawsuit challenging Colorado’s strict tax and spending limits as unconstitutional but more appeals are possible. U.S. District Judge Raymond Moore ruled Thursday that none of the former or current elected officials, educators or citizens challenging the 1992 Taxpayer’s Bill or Rights or TABOR have proved they were harmed by it. As a result, he said they don’t have the right to challenge the voter-approved measure in court. TABOR also requires tax increases to be approved by voters. Challengers say that violates the U.S. Constitution, which guarantees a republican form of government in each state where elected officials make decisions. The lawsuit was filed in 2011. Along the way, part of it was considered by the U.S. Supreme Court, which sent the case back to court in Denver. Senate President Pro Tem Jerry Sonnenberg, a Republican, unveiled early Monday what he believed was an agreement on the legislationonly to receive a note moments later from Democrats calling off the deal. Colorado Senate Republican leaders said Monday they are close to agreeing to a deal that would save more than half-a-billion dollars in proposed funding cuts for statewide hospitals. The deal would also offer up a $37 million business personal-property tax cut and clear space in future budgets for transportation and education funding hikes. 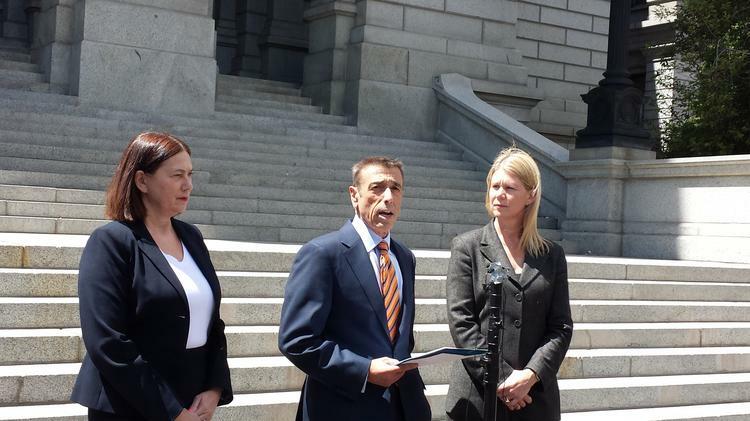 Steven Summer, president/CEO of the Colorado Hospital Association, talks about the hospital provider-fee fix Monday while flanbked by Denver Health CEO Robin Wittenstein and Children’s Hospital Colorado CEO Jena Hausmann. Surprised, Sonnenberg said he would sit down again with Guzman and with the bipartisan House sponsors of SB 67 and hoped to come up with a deal in the next week. The biggest sticking point between Republicans and Democrats remains Republicans’ insistence on including efforts to slow the growth of Medicaid costs that include an increase on co-pays by Medicaid recipients. The issue first surfaced when House Republicans tried to increase co-pays during the budget debate and put the savings for the state to transportation funding — an effort blocked by Democrats who insisted the budget would not be balanced on the backs of the poorest and sickest state residents. The bill, put forth as a way to forgo a proposed $528 million in funding cuts via the hospital-provider fee, has always been a complex piece of legislation that also seeks to increase funding for rural roads and schools and to cut state funding across the board in order to help for that re-prioritizing.